This 5-day course (Level A) covers the theory, clinical skills and research evidence in IPT. Training places are deliberately kept to small numbers to optimise the opportunity for participants to develop clinical skills in IPT throughout the course using role play, video examples and case discussions. There will be an opportunity for further training after the course to work towards practitioner accreditation (Level B) using group/individual supervised practice. 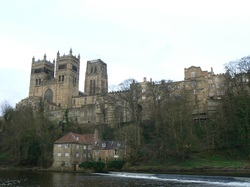 IAPT IPT courses offered in Durham and elsewhere by request. For more information please contact Dr Elizabeth Robinson by e-mail (eliz_mart@hotmail.com) or by telephone (0191 373 6860 / 07771 530 238).